Category: No longer In Inventory. 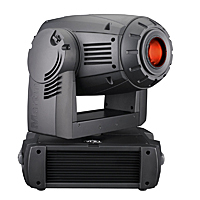 The MAC 700 Profile is a compact, powerful moving head fixture with an output and optical precision beyond its peers. It combines a full CMY color mixing system with an 8-position color wheel and a patented gobo animation system for subtle or dramatic effects. It also features rotating gobos, fixed gobos, iris, zoom system and rotating prism.